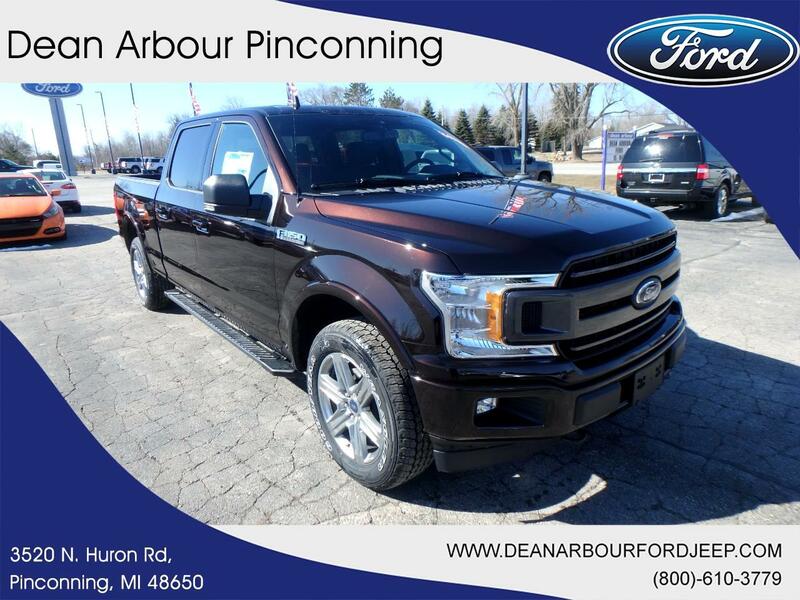 This new 2019 Ford F-150 in Pinconning, MICHIGAN makes driving fun again. Its a v6 Magma Red truck that can balance family and work. Want to learn more about this 2019 Ford F-150? Contact Dean Arbour Jeep Eagle. Visit Dean Arbour Pinconning online at www.deanarbourfordjeep.com to see more pictures of this vehicle or call 989-879-2861. All Ford pricing is done at "A Plan" Employee pricing. not everyone will qualify please call for details. We will always attempt to get you the very best price possible. All manufacturer rebates will be subtracted from your pricing at time of sale. For details on current incentives please give us a call.